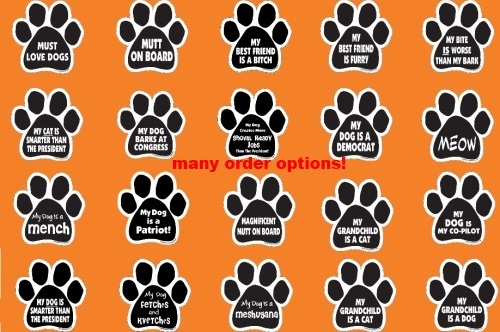 Paw shaped car magnets. 6/pk. Magnets are screen-printed on heavy-weight magnetic material with long-lastic UV ink. Sold in sets of 6 per design. Size- 6"x4". Magnets are screen-printed on heavy-weight magnetic material with long-lastic UV ink. 2/pk or 6/pk. Made in the U.S. Measures 2" x 7". 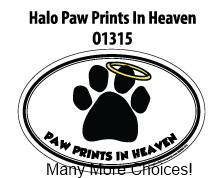 Made in the U.S. Paw Print magnets. Each magnet measure 5" x 5". Buy by the each. Customization is available with a minimum order of 48 of pieces. Write your custom message in Special Instructions. Sold in packs of 10. 3.75" x 6" oval. Long lasting magnetized vinyl. 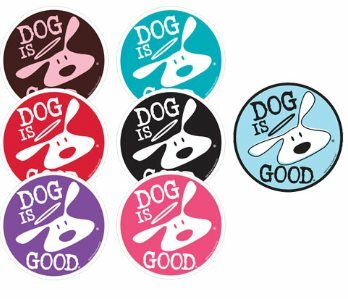 Ideal for cars, trucks, suv's or just to put on the fridge! These new magnetic bumper stickers are sure to be a hit with your customers. They measure 9" x 3" and are sold in sets of 6 per design. See the swatch for display details. Made in the U.S.A.! 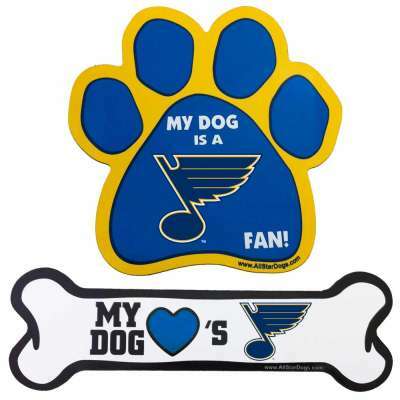 Let your dog show them NHL spirit with these Made in the U.S.A. car magnets. Magnets come in packs of 12/design. Keep the memories in your heart with these magnets. Each come in packs of 6. 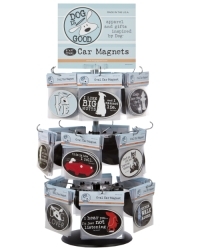 Made in the U.S. dog breed oval magnets. Each design comes in packs of 2. 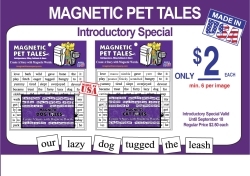 Made in the U.S. paw magnets. Each design comes in packs of 6. 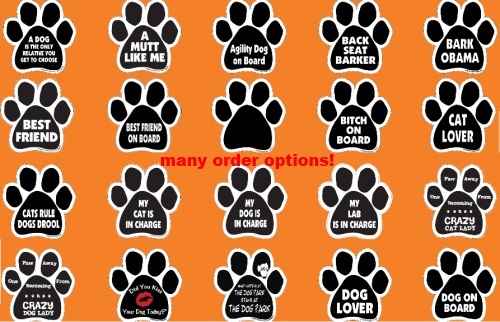 Made in the U.S. Paw magnets M-Z in packs of 6. 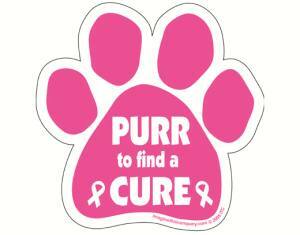 Made in the U.S. Purr to find a Cure. 6/pack. Made in the U.S. Each saying comes in packs of 6. Made in the U.S. flexible oval magnets. Perfect for indoor or outdoor use. 5.5" x 3.5". Assortment includes 4 ea/7 designs. Magnets come in packs of 4/design. 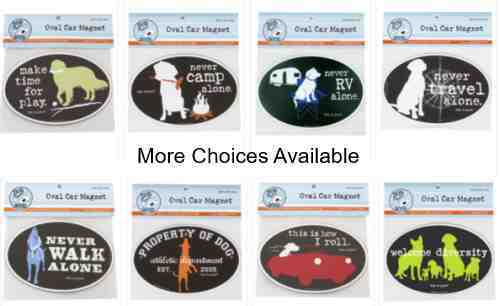 4" x 6" oval car magnets. Each design comes in packs of 6/sku. Counter display rack includes 108 magnets, 6 each of 18 designs. Base diameter is 10", max width is 18". 36" tall including signage. 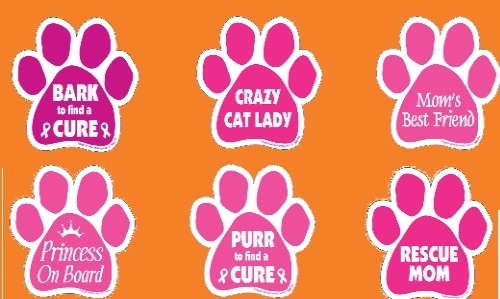 Best selling designs adapted to 4" x 6" Euro-style car magnets. Display comes stocked w/240 magnets and display rack, 12 each of 20 top-selling designs.